Sadly we Salute our Quigley's passing on 13.6.2010. Aust Ch Vita Quigley was 13 1/4 years of age and was a striking little fellow in his own right with not even a grey hair in site. Although Quigley has had a very limited show career he has won Res Challenge at the Perth Royal Show 2005. And has had 2 Runner Up Exhibit in Show. One in Kalgoorlie the Goldfields of WA. And the second R/UP Exhibit in Show at Geraldton Championship Show under Judge Mrs Helen Furber who gave him both awards. He also was chosen as 3rd place in the Veterans class at the Perth Royal Show 2007. 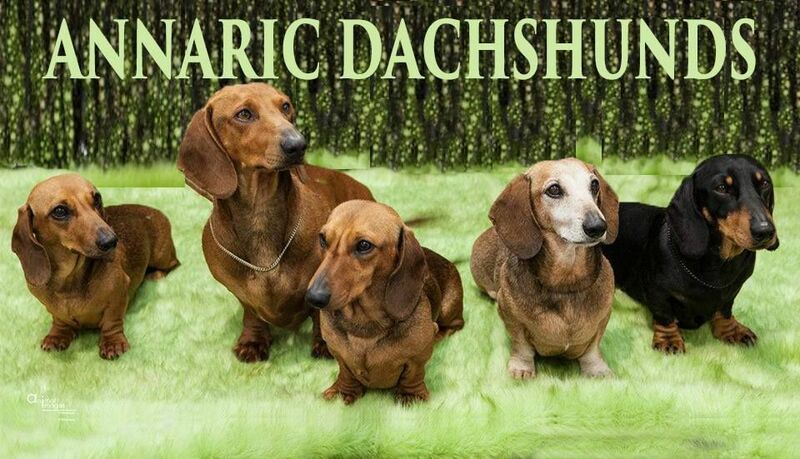 He sired several litters of which he produced Annaric's very first miniature dachshund Champion. Annaric Just N Tyme (Justn Dec)did the Annaric Kennels proud and was the beginning of our champions. His 2 Grandsons Ch Annaric Clancy BIS&BIG winner and Ch Annaric D Sundance Kid (Dec)who are two more champions to his credit.